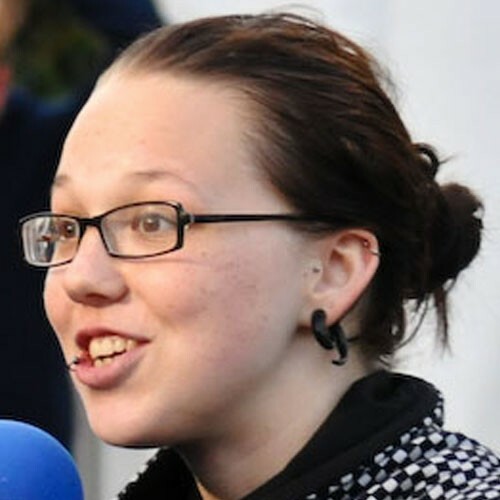 Stefanie Heinzmann has stretched earlobes. 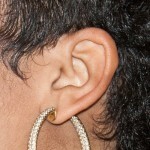 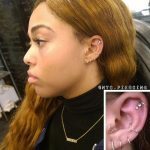 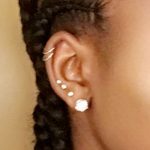 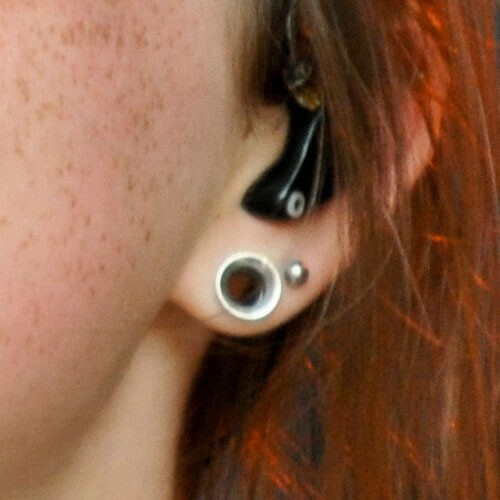 Here she wears tunnels in her lobes and studs in her second hole. 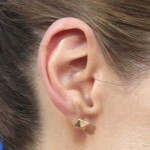 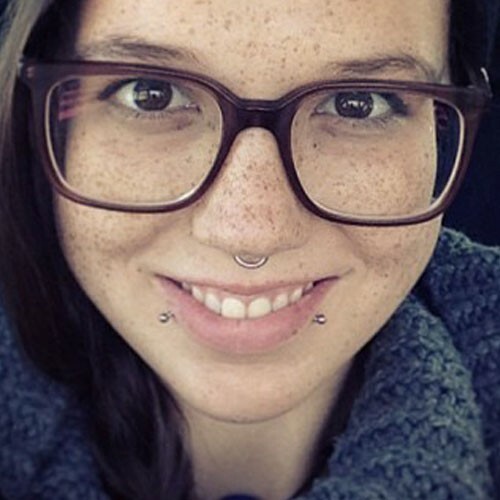 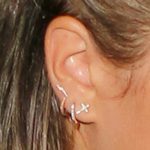 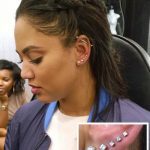 Stefanie Heinzmann’s left ear has a tragus piercing, a helix piercing, and stretched earlobes. 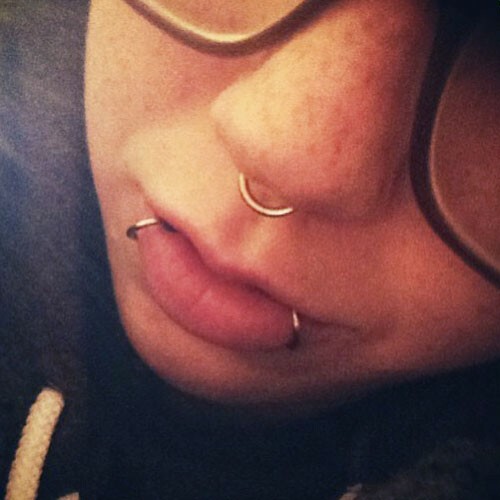 She also had a lip ring on one side at the time of this photo, but she now has rings on both sides of her lips and a septum piercing in her nose.